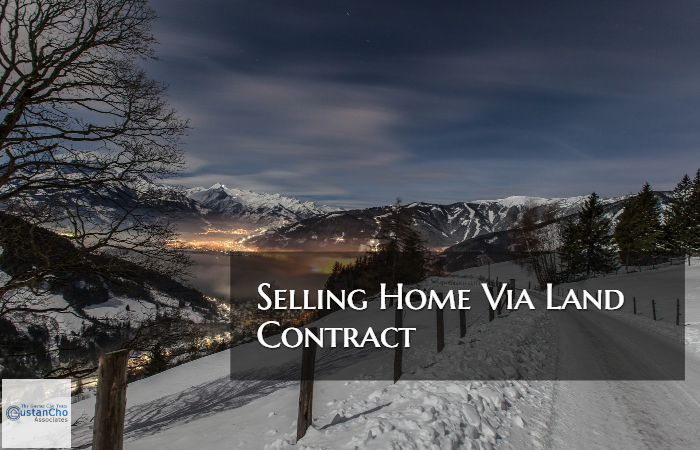 Selling home via land contract is another way of selling home. Sometimes selling home via land contract is the only way to sell a home for homeowners if major repairs need to be done unless they get a cash buyer. Closing a home on a land contract is much faster and quicker than traditional closings with no red tape. During depressed real estate markets, sellers selling home via land contract to home buyers have a major advantage over those sellers who do not. Another advantage for homeowners selling via land contract is when the seller’s home is in need of repairs and due to deferred maintenance, the home will not pass appraisal inspection. Many buyers are willing to purchase homes selling via land contract on an as-is condition and do the repairs themselves. Both the home buyer and home seller need to protect their interest when entering into a land contract. I have many mortgage loan clients who I have worked with over a year due to their credit issues and eventually got them approved for a residential mortgage loan and are now proud homeowners. Land Contracts can be a win-win situation for both buyers and home sellers if structured the right way.